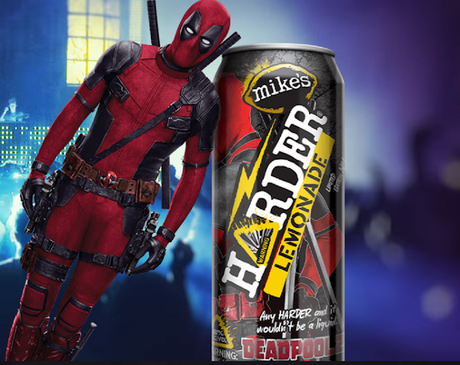 Hold on to your chimichangas, mike's HARDER teams up with everyone's favorite anti-hero leading up to the release of "Deadpool 2." The unique partnership spans multiple consumer touchpoints including film product placement, exclusive in-theater content, co-branded digital ads and exclusive experiences for fans.For the first time, fans 21 years old and older will get to experience Wade Wilson's favorite mercenary hangout – the iconic Sister Margaret's School for Wayward Girls – at the HARDER adaptation of Sister Margaret's Pop-up Experiences in New York City and Los Angeles. ⏩ The Los Angeles event will be conducted by and for the benefit of DTLA Film Festival, a nonprofit organization. For three nights, fans will get to place their bets in the "Dead Pool," play on the iconic Sister Margaret's pool table and mingle with mercenaries. Exclusive HARDER-Deadpool 2 flavors will be served and some of Wade's favorite snacks will be provided – West Coasters can enjoy chimichangas, while Brooklynites can chow down on pizza. Leading up to each event, locals can catch the exclusive Sister Margaret's video hitting late night TV in both New York City and Los Angeles. "Deadpool and HARDER make a perfect duo - they are both bold, provocative, and unapologetically take risks. This partnership hits the spot just right, "said Sanjiv Gajiwala, senior vice president of marketing, Mike's Hard Lemonade. "Just like HARDER, Deadpool doesn't just live a little, he lives a lot. If he sees a chance, he takes two. He doesn't wait for one door to open, he kicks them all down." "We loved working with mike's HARDER on the first movie and are excited to see this epic relationship continue to grow. The mike's HARDER team has really had fun crafting this campaign!" said Zachary Eller, executive vice president of marketing partnerships, 20th Century Fox. To celebrate the partnership and commemorate the release of the sequel, 12 HARDER flavor cans will be emblazoned with the "Deadpool 2" limited-edition collectible packaging and slogans including, "Any HARDER and it wouldn't be liquid," "Nice cans," and "Not your grandma's sauce." ⏩ As part of the partnership, HARDER is also offering fans the chance to win an all-expense paid trip for two to a "Deadpool 2" red carpet event as well as an all-expense paid trip for two to a comic convention in San Diego this July. Visit mikesharder.com/deadpool2 for sweepstakes rules and details. 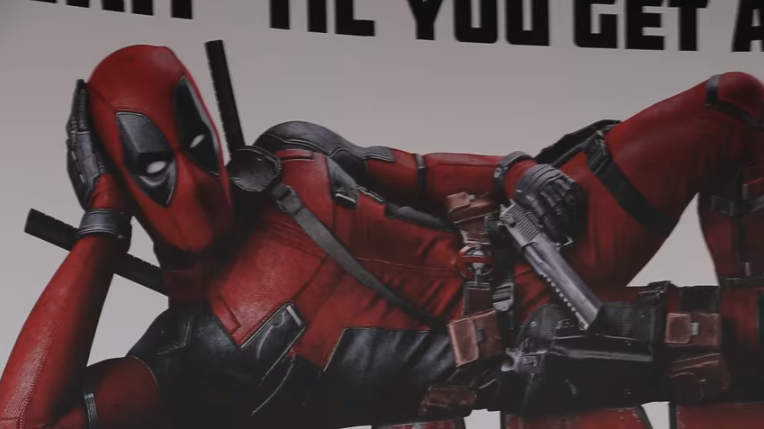 Exclusive HARDER-Deadpool content is currently airing in 1,267 theaters nationwide starting in advance of R-rated movies, and co-branded digital ads will go live on April 17. Did DEADPOOL Change the Future of the X-MEN Cinematic Universe?